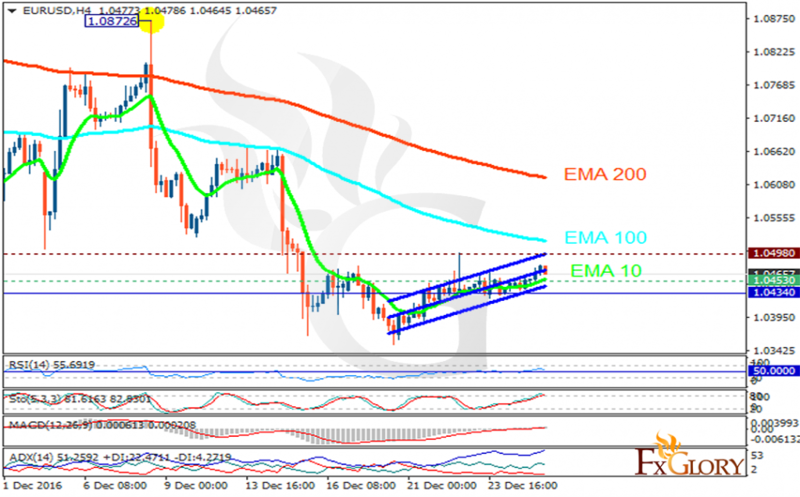 USD is being supported due to the traders’ enthusiasm to trade before the new year holidays. The support rests at 1.04530 with resistance at 1.04980 which both lines are above the weekly pivot point at 1.04340. The EMA of 10 is moving with bullish bias and it is below the EMA of 100 and 200. The RSI is falling towards the 50 level, the Stochastic is moving in high ranges and the MACD indicator is in neutral territory. The ADX is showing buy signal. In terms of the resistance level breakout, buyers can target 1.0500; otherwise short positions are recommended targeting 1.035 area.